All grandparents have something in common: They spoil us, their grandchildren! They have always been part of our lives and have been around even when we were still very young. We have lots of memories with them. They taught us how to bike. They cooked and baked for us, too. We received gifts from them on special occasions, especially during Christmas. These are just a few of the experiences we strongly relate to our grandparents. Knowing how much we are loved by our grandparents, we can reciprocate this during Grandparents Day this September 9. Even though it’s not a public holiday in the United States, Grandparents Day is celebrated by many families. It is observed on the first Sunday of September after Labor Day, which this year falls on September 9. There are several ways you can celebrate this unofficial holiday. If your grandparents are alive and well but not living with you, you can always give them a call and ask how they are doing. You can pay them a visit or invite them over for dinner. You can make it even more personal by cooking for them. Youngsters can learn more about their grandparents’ heritage by chatting with their elders this Grandparents Day. On this day, some children invite their grandparents to school where they can participate in special lessons and have fun learning together. You can send gifts or cards to your grandparents. If your grandparents are living with you, you can take them to fun places where they won’t easily get tired such as a movie house, mall or picnic site. 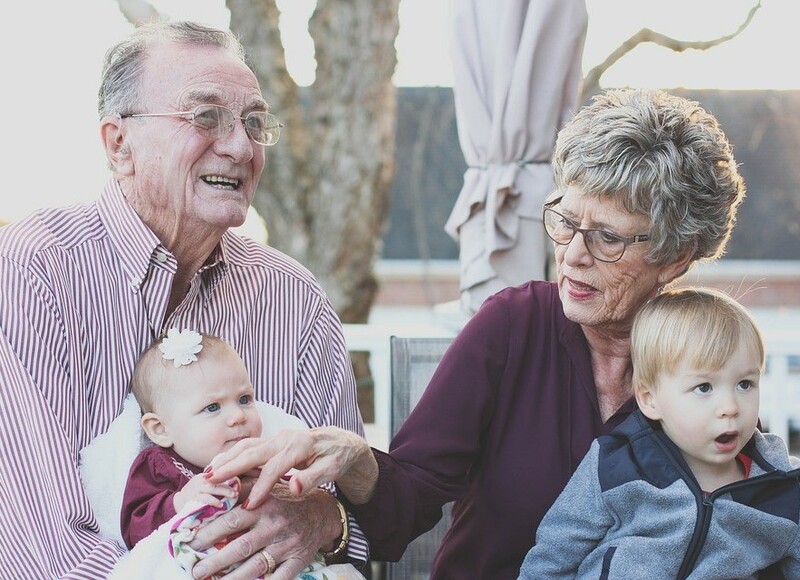 If your grandparents are living in a nursing home or in a retirement village, Grandparents Day is a perfect time to visit them and rekindle the relationship. If you are having issues in your life, your grandparents are some of the best people you can talk to. They listen and don’t judge you. Chances are, they have already experienced what you are experiencing now, and as such are in the best position to give you a sound advice. Grandparents Day is not only about celebrating and pouring affection on our own grandparents. It is also about supporting and showing kindness and compassion to the elderly people in nursing homes. You can bake them cookies and spend some time chatting with them. Who knows, you may find a new friend there and develop a great friendship. Grandparents Day is an occasion for us to try and repay our elders for their genuine and unconditional love for us. We want to let them know that we still care for them and that we still want them to be a part of our lives. The holiday is also a great day to be reminded of the travails of the many disadvantaged people in our country, including those in your own community. These people also deserve our attention and kindness. They are living miserable lives due to their disabilities, poverty, unemployment, lack of education, and other hindrances to a happy, abundant, and productive life. They need our help more than ever. With the support of our generous donors, we at Goodwill Car Donations are able to provide our less privileged fellow citizens with the essential assistance they need. We sell at auction all the vehicles donated to us and use the proceeds to finance the critical community-based programs of Goodwill nonprofit organizations all over the country. These nonprofits deliver job training and placement services, mentoring, career development, youth employment, disability benefits support, and other community-building solutions. These services cater to disadvantaged individuals, empowering them with the right set of skills and knowledge that enables them to overcome their limitations and make full use of their potential as they secure decent and stable jobs. Hence, thanks to our generous car donors, these once idle and dependent individuals are able to break free from the cocoon of poverty and become financially independent and productive members of the American workforce. Their industry and productivity, in turn, help fire up the engines of growth and progress in your community and the country as a whole. This Grandparents Day, we invite you to join us in our mission to provide the disadvantaged people in your community the means to be able to help themselves. You can do this by donating a vehicle to Goodwill Car Donations. To know more about Goodwill Car Donations, our donations process, and the exciting rewards that await our donors—which include maximized tax deductions and free towing services—feel free to call our toll-free 24/7 hotline 866-233-8586. You can also visit our FAQ’s page or send us a message online. You can make your car donation by calling us directly or by filling out our online donation form, which you can find on all pages of our website, including this page. Show your elders and the less fortunate people in your community that you care for them. Call us at 866-233-8586 and donate a vehicle to Goodwill Car Donations on Grandparents Day!